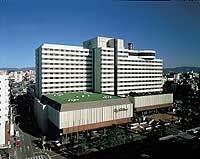 Hotel New Otani Hakata is a hotel representing Fukuoka, one million city and gateway to Kyushu and Asia. 30 years of experience and newly remodeled lobby and guestrooms make this the perfect place. The Sun Roze Shopping Arcade inside the hotel has been brightly remodeled, and been greatly powered up. The hotel offers the first class services with heartfelt hospitality and experience. 1 minute walk from Subwau Watanabe-dori Station. 7 minutes on bus from JR Hakata Station bound for Ropponmatsu and get off at Watanabe-dori icchome.